The November 14 eclipse as seen by Solar Dynamics Observatory observers over Cairns Australia (Credits: NASA). 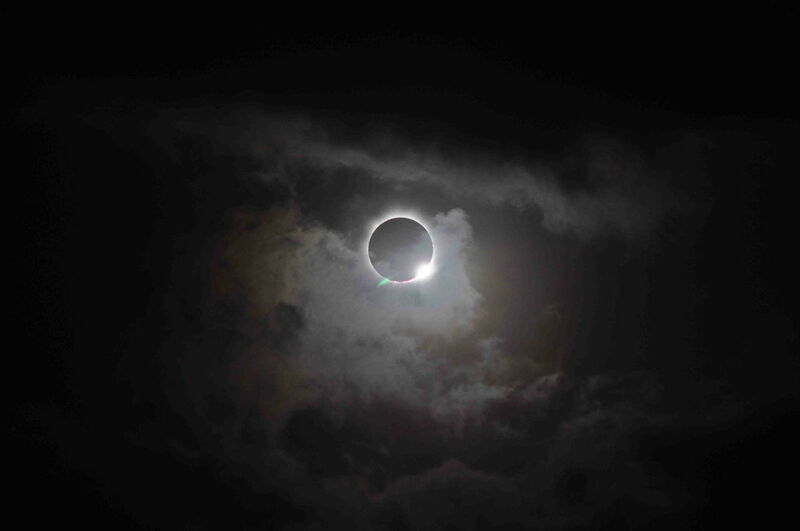 On November 14, the northeast of Australia saw an early morning total solar eclipse. Both locals and flocks of visiting skywatchers and astronomers watched as the Moon passed in front of the Sun, blocking it completely from the sight of those in the path of totality. Total eclipses occur because the distance of the Earth from the Sun and the Moon happen to make those bodies appear to be the same size in our sky. While eclipses are spectacular to watch – with adequate provisions to ensure safe viewing – they also provide a unique opportunity for heliophysicists to study the coronosphere. The coronosphere hosts some of the most dynamic solar effects and weather and has a direct impact on radiation in the vicinity of Earth. This [email protected] video, below, explains how Australia’s eclipse can improve solar weather predictions. Watch carefully: the next total eclipse doesn’t come around until 2015.